As part of Old Master Week, Sotheby’s presented a 55 lot sale on January 25th raising a total of $22,630,000 (excluding buyer’s premium), within the pre-sale estimate of $19,550,000 to $27,880,000. This represents a rate of 95% of sales by value (based on average estimate) though only 61.8% by lot. There was a total of $9,545,000 missed sales from the 21 lots that failed to sell. Sotheby’s Master Painting & Sculpture Evening Sale in New York will be compared to Christie’s in a more thorough report that will be published following Christie’s Old Masters Evening Sale, taking place later this spring. Total sales vs estimate (2010 – 2016). 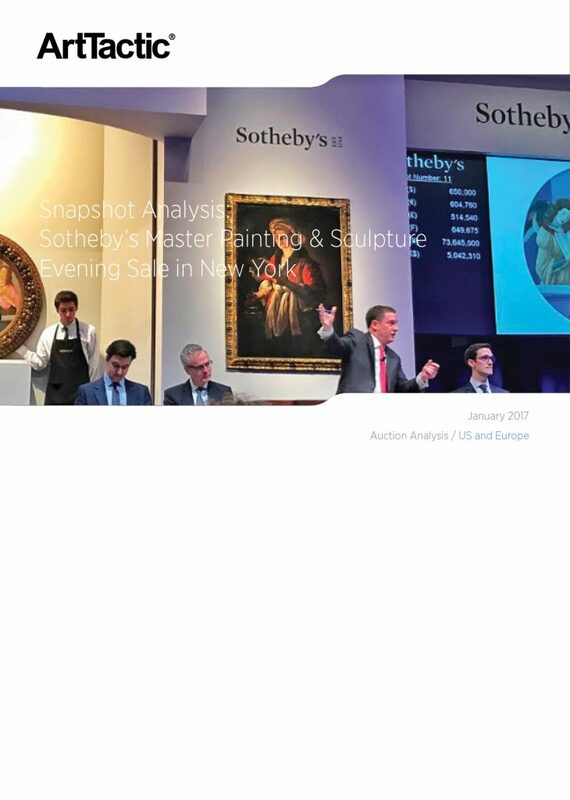 Snapshot Auction Analysis: Sotheby’s Master Paintings & Suclpture Evening Sale in New York achieved a total of $22,630,000 for 55 lots, putting it comfortably within the pre-sale estimate of $19,550,000 to $27,880,000.